Our 99% issues in this world are because of this modern definition and never satisfying thirst to do anything in the name of freedom. While freedom was necessary to end the slavery, i feel that we are still slaves. Only change is that our masters have changed now. I feel modern day we are slaves of select few something like Oligarchs of this world. Big enterprises and influential people are driving this world. We are merely sucked into the flow as we are really inconsequential part of the system who are following these trends set by others. Morality, high social values, coherent society where rich and poor are together, less or no religious fanaticism. I think crime will reduce, gender equality will be achieved and society will be more respectable. Need of the hour is wisdom that the freedom. Freedom with wisdom is the only right freedom. "Nahi toh bandar ke haath AK47 wala scene ho jata hai" (otherwise, it will be like giving AK47 in the hands of monkey). All these things are inevitable in modern era.Nowadays only few would manage to develop well in most important aspects while being sustainable, responsible and accountable. Massive much needed development has happened in terms of life expectancy, technology, lifestyle etc. however it has come at cost of other things. It is disgusting to the core that they talk such trash publicly. Such hopelessly cheap/lowlife people. we need to take care of 1 and 5..
Dont worry. Science will help them. When earth dies, these idiots are going to pull out some Sci-fi trick from their back sides and take a voyage to some R53987 planet 20 LY away at a speed of mighty 20kmps. Even though it takes them about half a million years to reach there it is lot better than what earth offers them with poor, filthy, illiterate population who are not worthy of sharing the resources with these elite. Unless we become absolutely one with nature where our footprints are reduced to none, we have no chance of saving the earth. Our so called freedom has completely handed off the control of the planet in the hands of savages who only care about money, women, and filthy unnatural lifestyle. Velu then we are no great nation with whatever 1000s of years if culture and what not. We are just like any other country. We are supposed to be wiser having taken birth in such a pure country of ours. 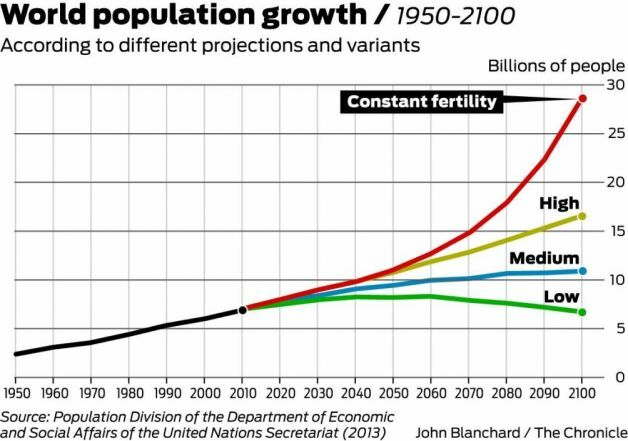 Humans are not multiplying , The problem is old people are not dying.Birth rate almost everywhere is around replacement level but average age is increasing. One only needs to look at the pseudo-libs to see that freedom is useless without intelligence.